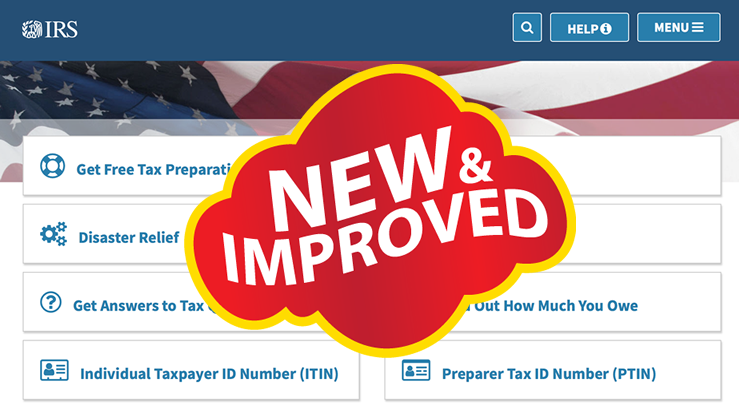 In recent weeks IRS released an updated version of its website. It is the first time in many years that the agency made major aesthetic changes to the site. Quite frankly, it was overdue for a change. When you land on the IRS homepage, there appears to be a lot less information. I find it a very positive development as the agency decided to display the most common and sought-after topics. Previous site had lots of information crammed in one place making it intimidating and hard to find what’s needed. It wouldn’t surprise me at all if someone decided to leave the page and look for the same information elsewhere on some other website that provides it in more user-friendly format. The website still contains the same information as before but more specific topics may require few extra mouse clicks. Continue scrolling and you find forms and instructions as well as recent tax topics (i.e. new tax law) and links to IRS apps and videos. Overall, I think it’s a nice update to a very good product. I am convinced it will discourage fewer people from engaging on the site and be a valuable tool for all of us throughout a tax year.